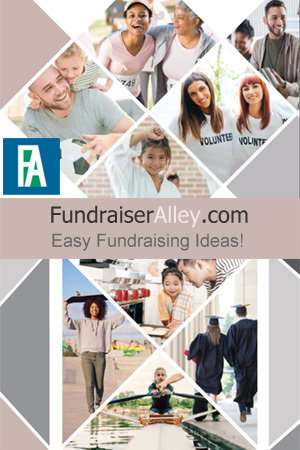 What’s Inside the Fan Flags Fundraising Brochure? 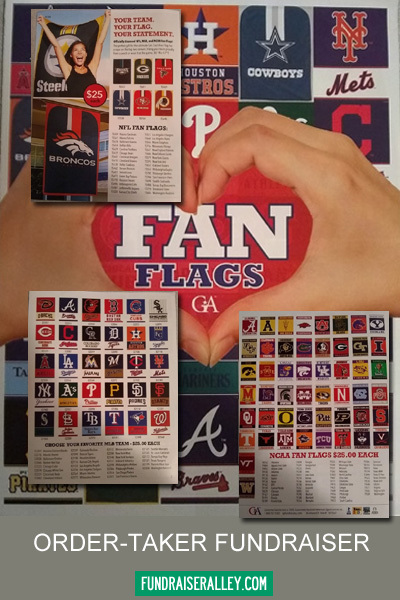 The Fan Flags Fundraiser, brought to you by Great American, features everyone’s favorite sports team flags. Hanging on your porch or around your neck at team games, Fan Flags show team spirit! These flags are 36″ 47″ and include a rope on the top two corners for hanging. Perfect for an sports team fundraiser! Earn 40% profit. 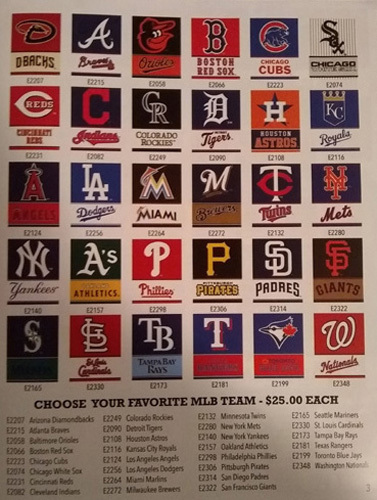 Selling price is $25 for each flag and the minimum order is only one flag. 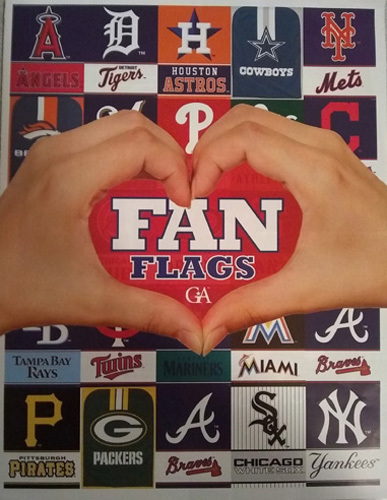 Take a look below, to see what’s inside the Fan Flags brochure. 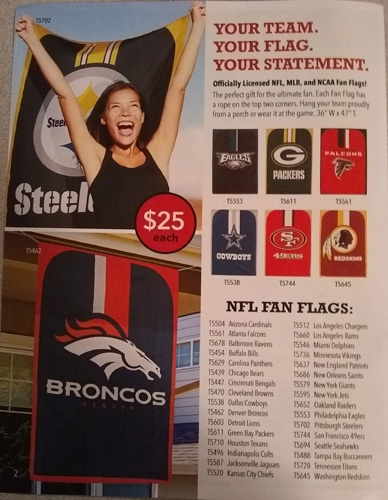 Page 2: Choose from 32 officially licensed NFL Team flags, including: Arizona Cardinals, Buffalo Bills, Cleveland Browns, Dallas Cowboys, Denver Broncos, Green Bay Packers, Miami Dolphins, New England Patriots, Pittsburgh Steelers, Washington Redskins, and more. 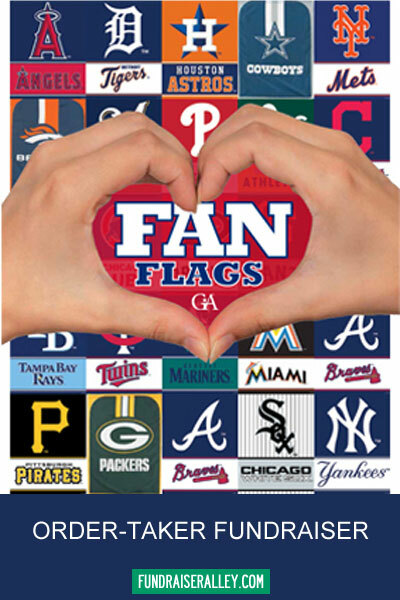 Page 3: Choose from 30 officially licensed MLB Team flags, including Atlanta Braves, Boston Red Sox, Chicago Cubs, Cleveland Indians, Detroit Tigers, Los Angeles Dodgers, New York Yankees, Pittsburgh Pirates, San Francisco Giants, Texas Rangers, and more. 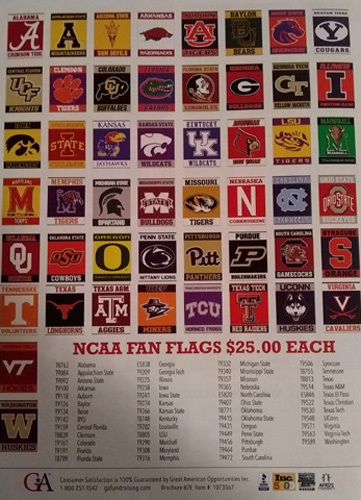 Page 4: Choose from 50 officially licensed NCAA Team flags, including Alabama, Central Florida, Clemson, Georgia Tech, Kansas State, Maryland, Ohio State, Penn State, Purdue, Texas A&M, Virginia Tech, Washington, and more.